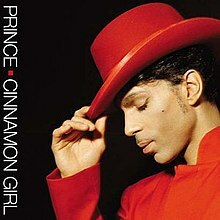 (2004) "Live from Paisley Park"
"Cinnamon Girl" is a song by Prince, from his 2004 album Musicology. The single has been released in several formats. On September 6, 2004, the European CD single was released with four tracks: "Cinnamon Girl" (Album version), "Dear Mr. Man" (live at Webster Hall) "United States of Division" (which had been available only as a download) and an MPEG video of the "Dear Mr. Man" performance. Two weeks later, a similar single was released, but without the video. In November of the same year, Prince's NPG Music Club online retail store sold an Enhanced CD including the audio track, its music video, the lyrics and a five-minute segment of interviews and behind-the-scenes footage. Despite not charting in the US, the single nearly cracked the Top 40 of the UK, reaching number 43. The music video for the song was controversial, especially among conservatives in the United States. In the video, directed by Phil Harder, a Muslim girl (played by New Zealand Māori actress Keisha Castle-Hughes) is depicted as being victimized following the September 11 attacks in 2001 and then dreaming of blowing up an airport with a bomb. While the New York Post described the video as the most tasteless ever, the American Arab Anti-Discrimination Committee has praised the video for bringing attention to the discrimination faced by Arab-Americans since the attacks. ^ Erlewine, Stephen Thomas. "Prince: Musicology > Review" at AllMusic. Retrieved 17 September 2011. ^ ""Cinnamon Girl" Video Controversy Caps Prince's Outstanding Year - Blogcritics Video". Blogcritics.org. Archived from the original on 2009-04-27. Retrieved 2012-04-09. ^ "Offiziellecharts.de – Prince – Cinnamon Girl". GfK Entertainment Charts. Retrieved May 3, 2016. ^ "Italiancharts.com – Prince – Cinnamon Girl". Top Digital Download. Retrieved May 3, 2016. 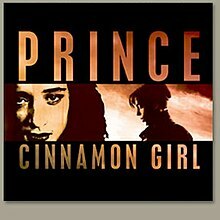 ^ "Dutchcharts.nl – Prince – Cinnamon Girl" (in Dutch). Single Top 100. Retrieved May 3, 2016. ^ "Prince: Artist Chart History". Official Charts Company. Retrieved May 3, 2016. This page was last edited on 14 March 2019, at 14:31 (UTC).